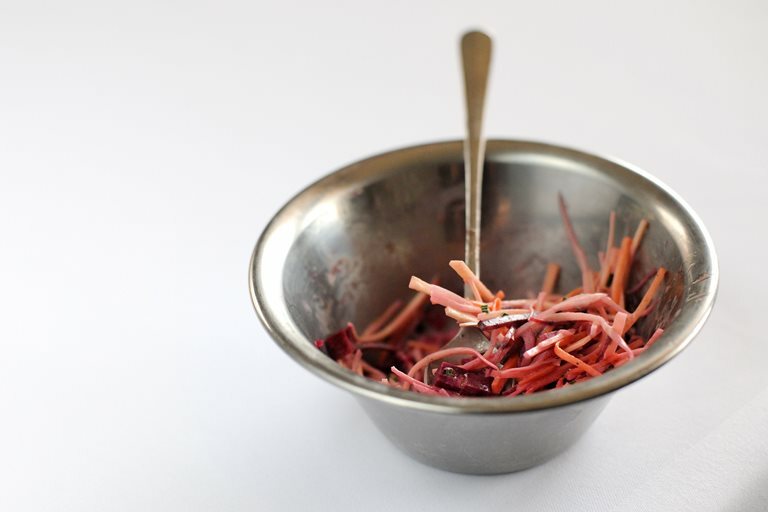 Nathan Outlaw shares a simple root vegetable coleslaw recipe using parsnip, celeriac and beetroot. This makes a perfect side for a wintry occasion, and the recipe also includes a handy mayonnaise recipe. If you're looking for inspiration for meat-free dishes, have a look through our vegetarian recipe collection.